The Nightshade family is known to have some very toxic plants among its members. 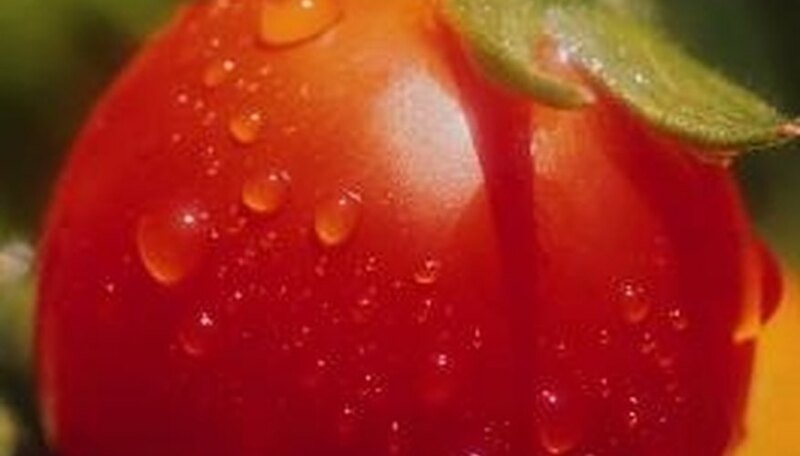 The tomato fruit was once believed to be toxic, though this fear has been dispelled, and tomatoes are commonly used in cooking. The most poisonous members of the nightshade family probably pose more of a threat to livestock than to humans. The Nightshade family is broad and among its members are some quite poisonous plants. The tomato is closely related to the genus, Solanum, but its toxic properties are not that severe. Other members of the nightshade family include tobacco, deadly nightshade, mandrake and deadly datura. Other plants in the family are bittersweet nightshade, black nightshade, horse/bull nettle and silverleaf nightshade. With the exception of silverleaf nightshade, the green berries of these plants are very toxic if eaten, while silverleaf's ripe berries are toxic. The tomato, because of its poisonous relatives, was considered to be a poisonous plant up until the 1800s. It was not eaten, but was grown as an ornamental plant by European settlers in America. One toxic alkaloid, solanine, is found in green potatoes and other members of the nightshade family. Solanine is quite toxic and cooking does not minimize its toxic properties and effects, which is why potatoes should only be eaten when fully ripe. Tomatoes, however, contain a different alkaloid called tomatine. Tomatine is present in the leaves and in green fruit, but is a rather benign alkaloid, making the widespread consumption of the popular Southern dish, fried green tomatoes, quite safe. There is scant evidence of tomato leaves causing poisoning in humans or in livestock, but tomato leaves are considered to be a toxic substance. Other members of the Nightshade family, such as bittersweet nightshade, black nightshade, horse nettle and silverleaf nightshade, can cause severe poisoning in livestock. According to the North Carolina State University Extension, as of October 2010, the Carolinas Poison Center had reported only one adverse reaction to ingestion of tomato leaves since 1997. The child who was sickened ate about five or six leaves.